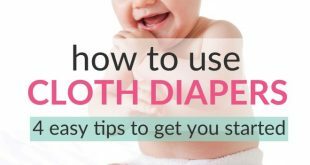 Home > Daily Baby Care > Baby Skin Care Tips – Less Is Most Often More! Baby Skin Care Tips – Less Is Most Often More! After six months of baby swimming lessons and cold weather, my baby’s skin was so dry that she developed eczema. She was treated with cortisone ointment and a lot of lotion. The eczema disappeared. Most of the time, your baby’s skin doesn’t need any special care unless the infant has any particular skin problems. In such cases, discuss treatments with a pediatrician before you start acting. There are however a few things you can do (and not do) to help your baby’s skin stay healthy. At some point during your baby’s first month, he will start shedding skin for a week or two. The first time I saw this I got very worried that my newborn’s skin had completely dried out. Don’t worry and do nothing! The skin will look fine again very soon. Put a few drops of breast milk on very dry areas if you like. Of course, if your infant’s skin seems very dry, ask his health care provider for advice. Use soap, even mild baby soap as little as you can. Soap dries your baby’s delicate skin out and is completely unnecessary. Babies don’t get dirty and don’t start to smell bad. Baby powder might irritate your baby’s lungs. I don’t know! I’ve never used it and I’ve never missed it. I think the best thing you can do for your baby’s skin is to avoid putting a lot of different substances on your baby’s skin (and in his lungs) if not absolutely necessary. Well, this is my opinion and how I care for my babies. Baby hair (if they even have any) doesn’t get dirty until they start smearing food into their little tufts. And even then water is often enough to wash the hair. If you feel that you absolutely have to use shampoo, use only very mild (and organic) baby shampoo. A good thing to do though is to comb the baby’s scalp now and then. This can help prevent that cradle cap spreads too much. If you like, you can put a few drops of baby oil into your baby’s bath water. Don’t take too much though, or your baby will become very slippery! I try to use only organic baby oil. For example Weleda has good product called Calendula Baby Oil. It has a very discrete but nice smell and contains only natural organic ingredients. Baby swimming lessons (in a pool) can make your baby’s skin very dry. It is the chlorine that is really bad for the skin. Well, no need to worry! If you put baby oil onto your baby’s skin before the bath, the oil will protect your baby. Putting it on afterwards doesn’t help. Instead afterwards, apply some baby lotion (organic…) if you wish. It is not only the best food for your baby in the beginning; it can be used for baby skin care as well as for clearing your baby’s nose if it is stuffed. If you want to use it for skin care, just massage a few drops into a dry spot when ever you wish. To learn more about the components of breast milk, click here. While baby massage is so much more than baby skin care, it is an excellent moment both to investigate your baby’s skin and to give it a treatment if it is dry. Baby massage is also a way to prevent dryness.Use this moment to check your baby’s arm pits and neck for irritated skin or dirt.